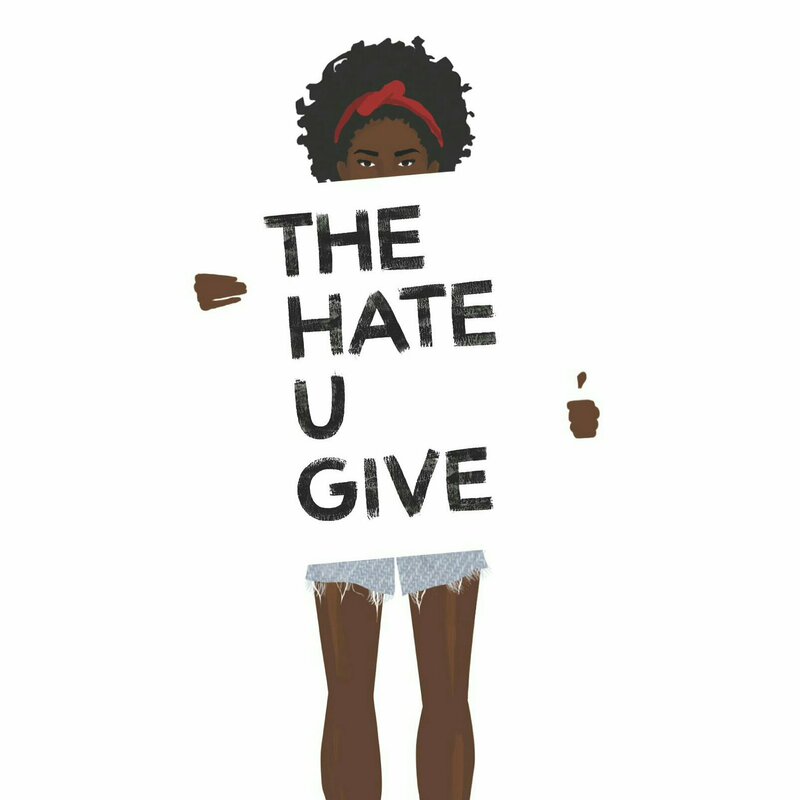 The Hate U Give is a young adult novel by Angie Thomas published about a year ago. I found it interesting that the title of this book is designed to spell THUG. It’s my first book of 2018, only because I was unable to finish it before the end of 2017. It’s a fast paced book, with the first chapter plunging us into hip-hop culture of block parties, blended families and gun violence in the African American community. This is quickly followed by details of humble and innocent beginnings and the struggle of the average youth in the hood to survive on their own with drugs trade and addict parents. By chapter two, police brutality and the murder of a teenage boy is so sudden and unbelievable, I couldn’t wrap my head around how everything went from 0 to 100 so quickly. Pow! Pow! Pow! and a simple drive home with a kid I was getting to know became a nightmare. You don’t have to go far in this book to realise that this book sends a sociopolitical message. It explains in detail what the Black Lives Matter Movement is about. Born and raised Nigerian, I have little personal experience regarding racism, and have often considered the movement an exaggeration of things. However, I’ve learnt that being black in America is very different from being black in Nigeria. Immigration in search of a better life is understandable but after this book, suffering at home beats discrimination, humiliation and death in America for doing nothing wrong. In Nigeria, no parent has to give their child “the talk” with respect to the police. Nigerian police are corrupt and we don’t exactly trust them, but they aren’t exactly out to hunt us. From this book, the way American Police is set up, you can’t even breathe around an officer if you are black. Every second with one is one of prayer. Like “God please don’t let this guy have a reason to shoot me.” I honestly don’t know how people can live like that. Next, despite being far from these crimes, I think it is important to use what we have; our voice. America is great at funding and fighting for justice in other people’s countries. It is only fair that we demand justice in America as well. Being shot for no reason besides being poor, black, and from a rough neighborhood is unacceptable. It’s an interesting, inspiring and compelling book with a lot of humorous dialogue between new generation kids and their parents. Unlike what we see in movies, not all Black American families are dysfunctional criminal enterprises. Despite the struggle, there is honesty, friendship and a sense of responsibility in the Black family. I also found the comparison between Harry Potter’s Hogwarts and Black gangs hilarious but quite true. I honestly can’t do this book justice in one review. It shares so much about the pain and consequence or racism, the power of media and our responsibility to hold ourselves to higher moral standards regardless of the colour of our skin. If you have ever wondered about the Black Lives Movement or American Hip-hop culture, I think you should read this book. It’s emotional and the characters are detailed and insightful and paint a vivid picture of what it means to be black, poor and want more in America. This book was just OK in my opinion. Nothing too spectacular. I definitely appreciate its theme – the Black Lives Matter movement is absolutely relevant especially now. But, I dunno… it just… it was a chore for me to finish the book. I started it, dumped it and finished two books before coming back to it again. I finished it because I don’t like to not finish books and I was also curious to know how it would end, whether her friend would get justice, after all. I guess it was because of the writing style. I cannot stand Ebonics…at all. The story also seemed slightly all-over-the-place for me – like you highlighted, it went from 0-100 real quick. Then dropped to like a 60 before increasing a bit to an 80. Dunno if that makes sense. Lol. I love that at the end of the book, the names of black people who have been unjustly killed were highlighted. But, other than that, I thought the book was just OK. I agree with you. The book felt a bit all over the place. I think the author tried to bring in too all, maybe too much. I enjoyed the Ebonics 😂😂. It was refreshing in a way, coming from Dan Brown’s pristine English. Thank you for reading this post and commenting.